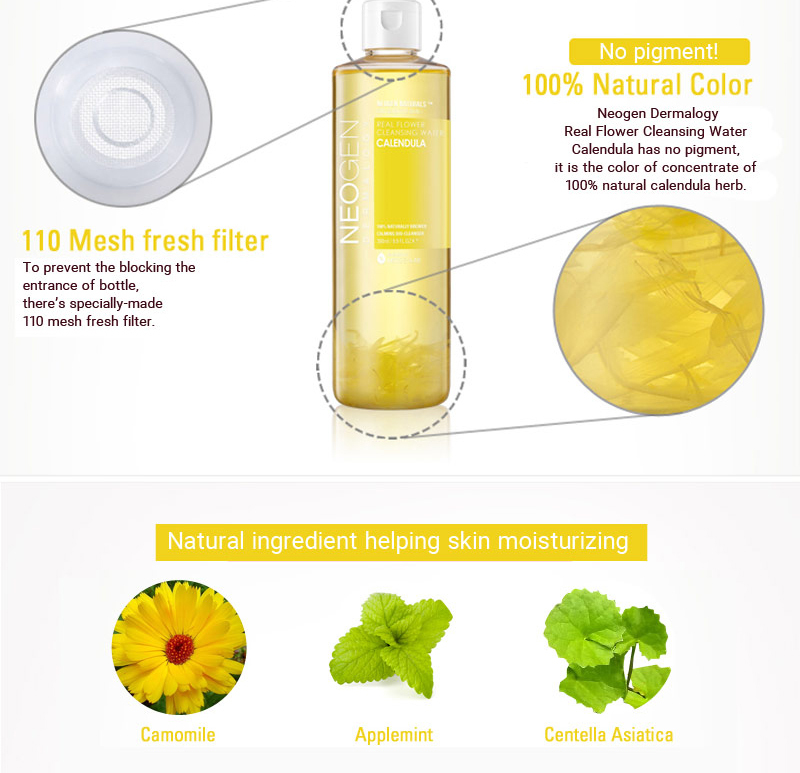 If natural beauty is your thing, Neogen’s Real Flower Cleansing Water is one skin care product that you’ll absolutely love. 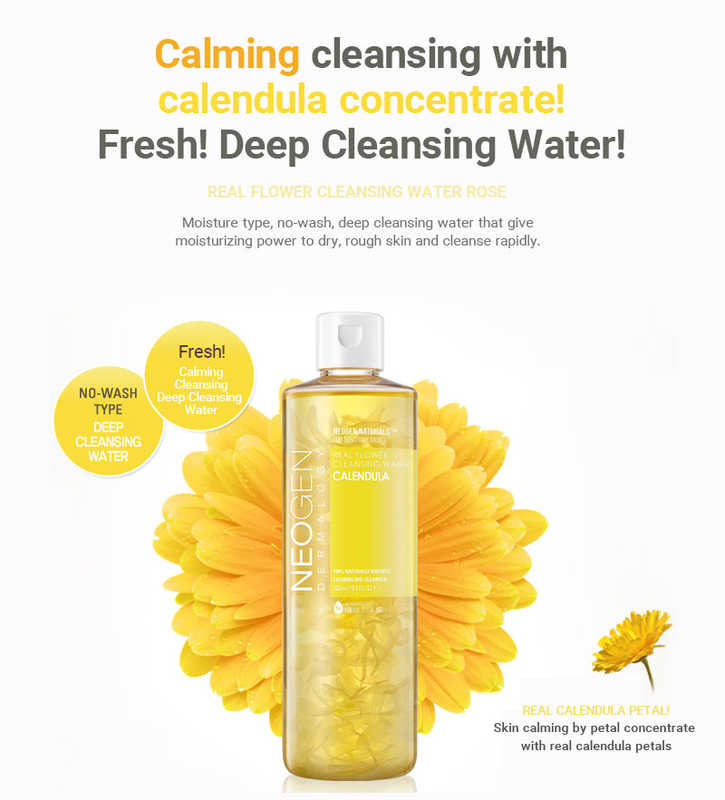 If natural beauty is your thing, Neogen’s Real Flower Calendula Cleansing Water is one skin care product that you’ll absolutely love. It’s perfect as a post-cleansing toner or a standalone cleansing step similar to micellar water. With real calendula petals suspended in the water, its calming formula is perfect for those with easily-irritated skin that’s prone to redness. Those with oily, combination and acne-prone skin can benefit from its balancing formula that whisks away excess oil and sebum while keeping your skin hydrated. 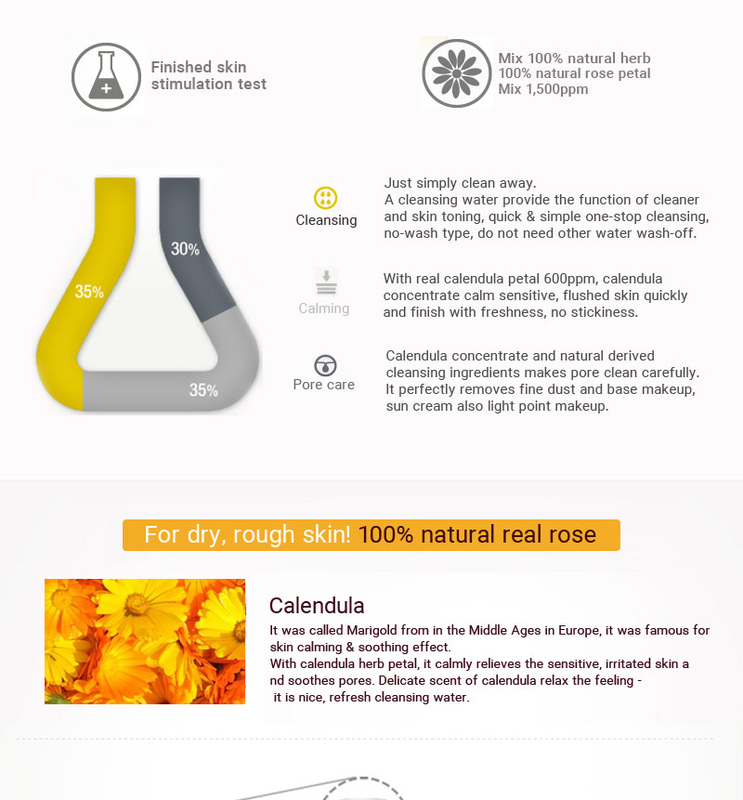 Calendula petal extracts and natural cleansing agents help to sweep dirt and impurities from your skin, leaving soft clean skin in its wake with a gentle fresh scent from the flower petals inside. A mesh filter built into the packaging prevents the natural sediment from leaving the bottle.